Jim Roberts is an associate member of RAP. He joined IRT-SystemX in June 2013 where he is working on projects on network architecture and cloud computing. He has a BSc in mathematics from the University of Surrey, UK and a PhD from the University of Paris. He joined RAP in September 2009 after more than thirty years at France Telecom research labs. His research has mainly been on the performance evaluation and design of traffic controls for multiservice networks including ISDN, ATM and the Internet. He was chairman of three successive European COST projects on the performance of multiservice networks, this activity culminating in the publication of the book “Broadband Network Teletraffic” (Springer 1996). He has published extensively in journals and conferences gaining a best paper award at Infocom 1999. 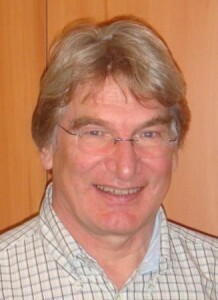 He has been a member of several journal editorial boards, including Computer Networks, IEEE/ACM Transactions on Networking and IEEE JSAC, and many conference programme committees in the networking field, including Infocom, SIGCOMM and CoNEXT. He was TPC co-chair for Infocom 2003. Some older papers can be found here. Slides from the keynote talk at ValueTools 2013: Be fair to flows!